Anytime there is a divorce hearing or motion, there is the need to establish how exactly the process of property division will be handled. Regardless of whether you have multiple real estate holdings or simply have an apartment and a car, there is surely marital property to be divided. Whenever you are faced with divorce and the issue of property division, you need to secure the legal representation of the law firm of George C. Malonis. We will work to ensure your rights and assets are protected and that fairness and equitable distribution is adhered to as a clear and sound resolution is found. Marital property subject to division can include everything obtained during the marriage and certain assets even before the marriage. 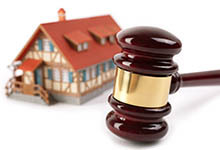 The judge has the ultimate power to decide what is considered marital property and what an equitable split entails. However, when you secure aggressive legal representation from the law firm of George C. Malonis, you can be sure you have an advocate in your corner who cares as much about protecting your rights and assets as you do. Collectibles of value—jewelry, art, etc. When it comes to property division in Massachusetts, the judge will most likely consider the following factors and more before making a ruling. Unlike other family law matters, such as child support or alimony, a Massachusetts property division ruling is not subject to future modification. Once decided by a judge, it is what it is. And, while Massachusetts is an equitable division state, there may be complications when it comes to literally trying to split assets or holdings. There may also be complications when trying to establish exactly what there is to be divided. It is illegal for one party to knowingly attempt to hide, sell, or transfer assets in an attempt to keep those items of assets from being considered marital property. It is also illegal to purposely acquire more debt in the other spouses name as it is likewise unacceptable to remove a spouse or children from health insurance, dental, life or auto insurance before a ruling has been made. Because of what is at stake, it is never advisable to go about the property division without legal representation. Having an experienced Massachusetts property division lawyer negotiating your settlement will ensure the best possible outcome for your case now and for your needs in the future. The law firm of George C. Malonis will work tirelessly to ensure your wishes and needs are considered and the best resolution is obtained. Contact us today for a free initial consultation 978-453-4500.